I love Christmas songs and normally spend Christmas evening playing some of my favorite Christmas classics on the piano. But this Christmas, I could not do that. When I pressed the piano keys, it sounded like anything but a piano. The high-pitched keys sounded like dishes clanging and low-pitched keys sounded more like a car engine. And normally on New Year’s eve, I’m usually out somewhere with music. This year, I spent it at home watching Pitbull’s New Year’s Eve Revolution with closed captions, making up tunes to Diddy and Zoey Dollaz’s songs because I couldn’t hear them. After six months of not really hearing, the countdown to my surgery has finally began. Not long ago, I received a call from the hospital in Quebec telling me that a place has opened up for me to have my cochlear implant surgery on January 12. I’m looking forward to it, but at the same time, I’m not! Some people fear heights, others fear spiders…I fear being near medical facilities. I’m still deciding which cochlear implant brand to go with. I have an idea, but I’m still reading reviews about people’s personal experiences with each brand. A tiny part of the chart I’m using to decide which brand to go with. This is only one of the seven pages of one of the charts I’m relying on for help. You can view the full chart here. June 26, 2015: I celebrate my birthday with some friends. They sing to me and get me a birthday dessert. Minutes later, I feel my ears crack and suddenly can’t hear very well. I hope it’s because of their singing. Then I get sick and call off the rest of the party. You can read about The Day My Life Changed. June 27: I wake up and can hardly hear anything. I go to the doctor. He tells me I have an ear infection. July 6: I still can’t hear well. I go to an ENT. He examines my ears and tells me the ear infection has gone. He requests that I see an audiologist that same day and get my hearing tested. I get diagnosed with severe sensorineural hearing loss. I lost over 30db of hearing within minutes, during my birthday dinner. I am prescribed cortisone pills. July 7: I see an ear specialist. We go over what happened. He gives me a steroid injection, straight into my ear. July 14: I get another hearing test, and while it improved a bit, it’s not much better. They rush me into surgery right away as they suspect physical damage. August 11: Another hearing test. Not much improvement. I get a referral to get evaluated for a cochlear implant. October 9: My First Meeting in Quebec City. I am evaluated by an audiologist, and my CT scan is looked over by the surgeon. October 28: Step two in Quebec City. I go through various hearing tests and a psychological evaluation. December 2015: I receive my acceptance letter to have the CI surgery. However, they are unsure of when it will be. I start the pre-surgery procedures. January 11: Pre-surgery exams in Quebec City. After that, there will be a long activation and rehabilitation process. I’m looking forward to sharing all the experiences. Hi Kim! I’ve been seeing your posts on Facebook but just visited for the first time. Some hearing came back and I was diagnosed with a moderate to profound bilateral loss. I spent the first three months home-schooled with no amplification because they were worried loud noise would prevent any hearing from returning. After that, I started with in-the-ear hearing aids, but I lost more hearing 9 months later and they switched to BTEs. I was told a CI wouldn’t help me since in 1993 the technology was a lot more primitive. Life went on and I wore hearing aids for my severe to profound loss until some time in 2004 when someone first asked me if I had considered a cochlear implant. It still took me until 2009 to finally decide to try them. Potentially giving up hearing that has worked pretty well for 15 years is a hard decision to make. No regrets though! Hi Sara! Thanks for reading. Yeah, I keep telling myself that it would have been harder if this happened in the non-Internet age. 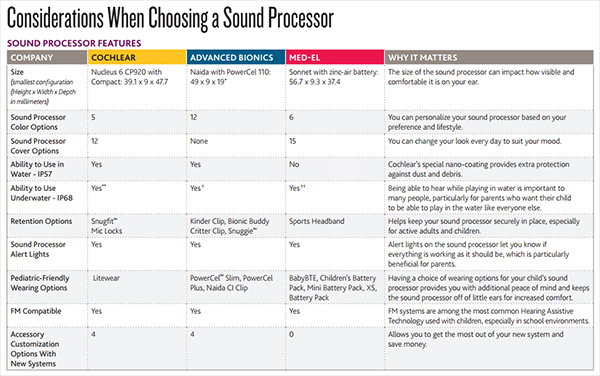 Surprisingly, there is still not a lot of info on sudden hearing loss. Before this happened to me, I had never heard of it! I’ve read about weird causes of hearing loss…but nothing about sudden hearing loss. I’m glad to hear that you like your CI and hope you’re doing well!